The TOEIC – The Test of English for International Communication- is designed to measure how well prospective employees or students are doing as far as their knowledge of English is concerned. The questions presented are taken from daily real life situations either from the workplace, or from personal life. Read on to find out more! Over 10,000 organizations in 120 countries throughout the world use the TOEIC test. This ranges from local and international companies, business schools, universities, English teaching centers, and other educational institutions. What is the TOEIC used for? Select, hire and/or promote their employees based on their level of English and to determine who has the skills needed to succeed in the global workplace. Choose employees whose level of English is suited to take part in programs or trainings carried out in English. Standardize the level of English needed for certain tasks both locally and internationally. Place students in the correct classes according to their level of English. Provide their students with an internationally recognized certificate in English language. What is the TOEIC test format? The TOEIC listening and reading test is a paper and pencil test that takes over 2 hours and is taken at a center. Part 1: Participants are shown 17 photos and they have to answer 4 multiple choice questions on each. Part 2: Participants listen to 30 questions and then to 3 possible answers for each question. They have to choose the correct answer. Part 3: Participants have to listen to 10 short conversations each with three questions. For each question, the student has to choose the answer that best suits what they have listened to. Part 4: Participants have to listen to 10 short talks each with three questions. For each question, the student has to choose the answer that best suits what they have listened to. Part 6: Error recognition. Participants are presented with passages that have 4 underlined parts. They have to choose the one that is wrong. Part 7: Comprehension. In this part, participants have to read three passages, each with 4 multiple choice questions. Due to the way in which the test has been prepared, the scores are used to measure how well participants can perform in everyday situations where listening and reading are necessary. The scores go between 10 and 990 and they can give a reliable proof of what tasks a person can perform at their workplace or university..
As of 2006, the TOEIC also provides a speaking and writing test, which has not been launched in all countries yet. They complement the listening and reading tests and all together they are a very reliable measure of the 4 language skills. If you want to verify your level of English proficiency, qualify for a new position, improve your professional credentials, you should give TOEIC a try. 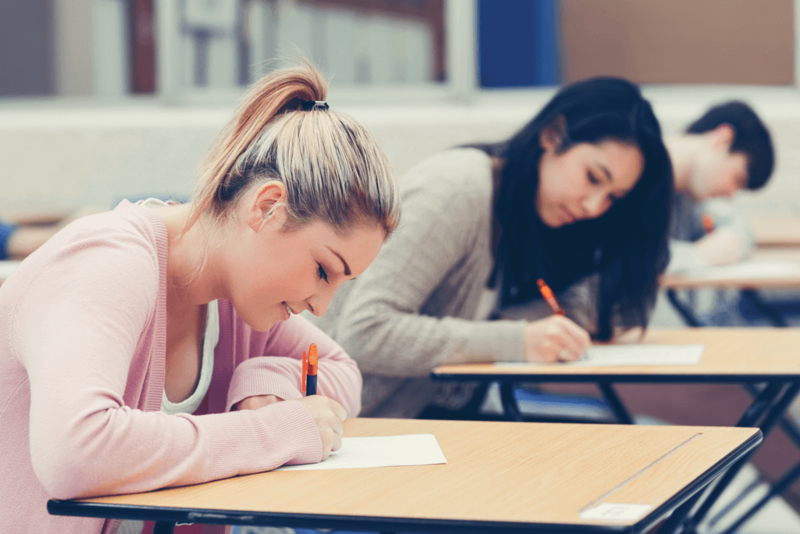 The most important thing to notice is that, even though you should practice for the exam, you don’t need to “study” anything new: you don’t fail this exam; you get a score that is easy to understand and that can show exactly what you can do in English! Read more about our TOEIC test preparation courses. Take our fun English Test to see your level of English now!